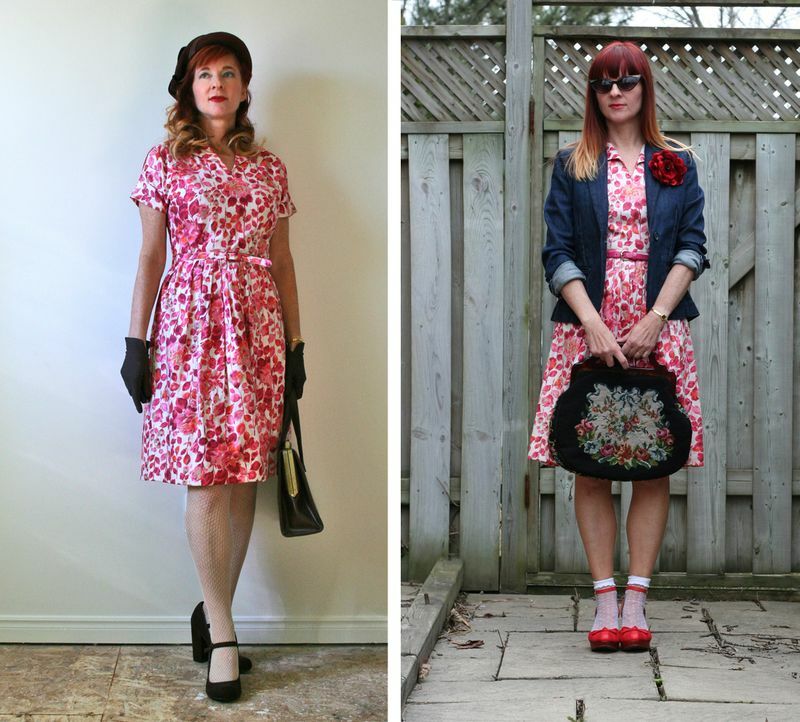 Out of all the vintage pieces I own and collect my favourites by far are the dresses. They are the easiest to find and I think also the easiest to wear. This is my Mom’s 1950’s vintage dress and all I’ve done is add a contemporary belt, shoes and earrings. 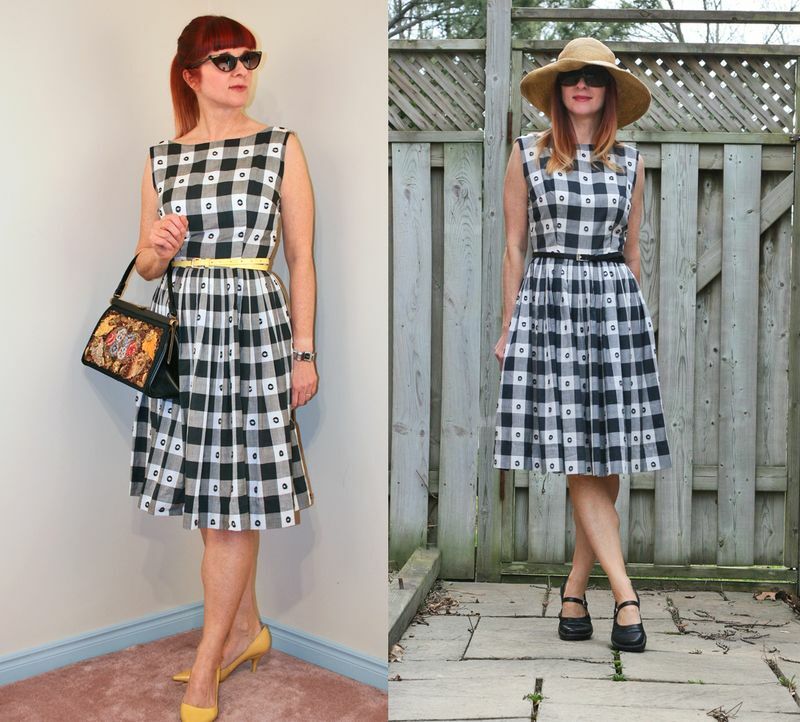 1950’s vintage gingham dress styled vintage and classic French. 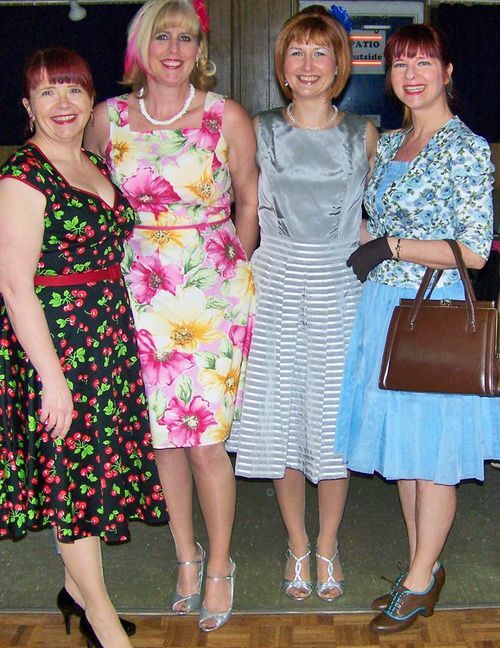 Here I am in my Mom’s graduation dress at a 1950’s – 1960’s dance. (What a BLAST we had!) It’s a shame you can’t see the back of my ponytail because it is tied with one of those nylon headscarves from the 1950’s. This is obviously a vintage look because of the accessories. 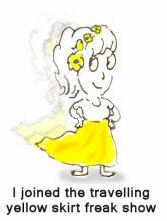 Here paired with some yellow accents it creates a more eclectic contemporary look. 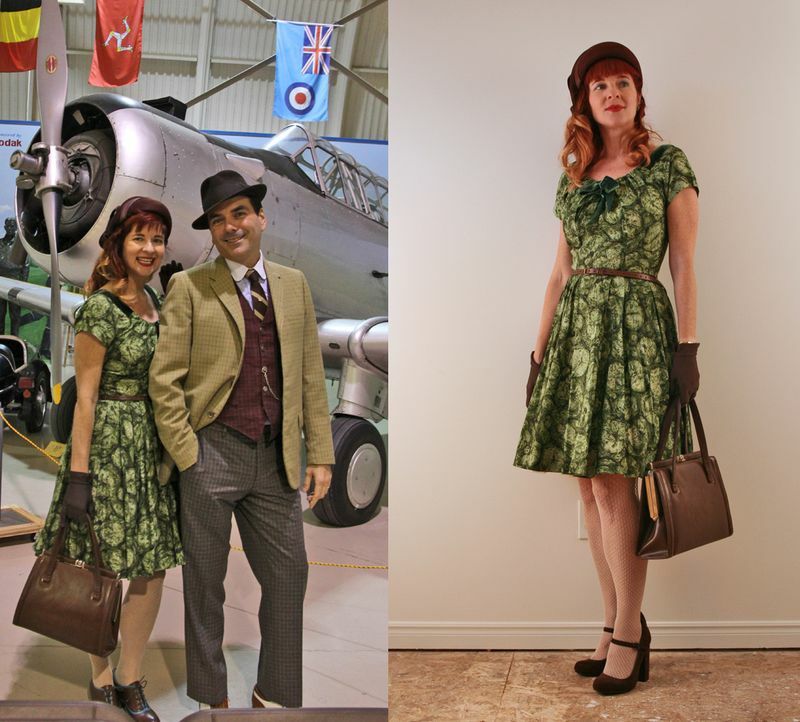 I wore this dress to a 1940’s Victory dance so I wanted to style it authentic to the era. Switching out all of the accessories for more modern pieces would update the look immediately. This 1960’s cocktail dress is simply classic. No changes necessary. This 1960’s Gale Mitchell gown is another one that I don’t really need to touch much. I ended up making the train removable and styled it like this for New Year’s Eve. 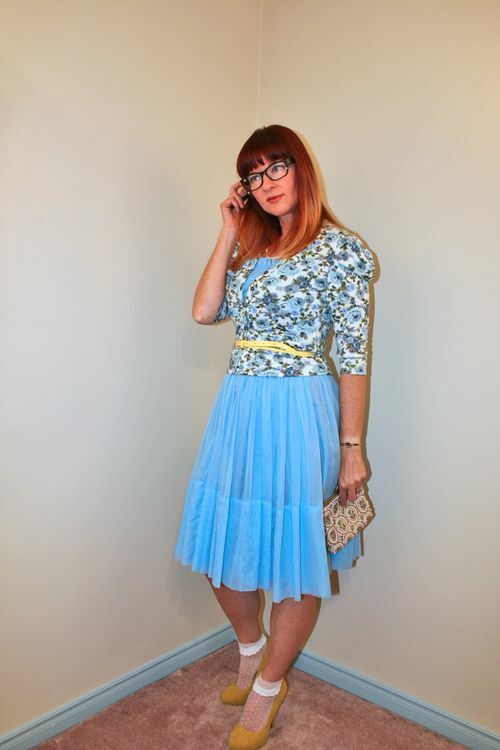 This 1950’s day dress below was styled classic vintage and then funky artsy. 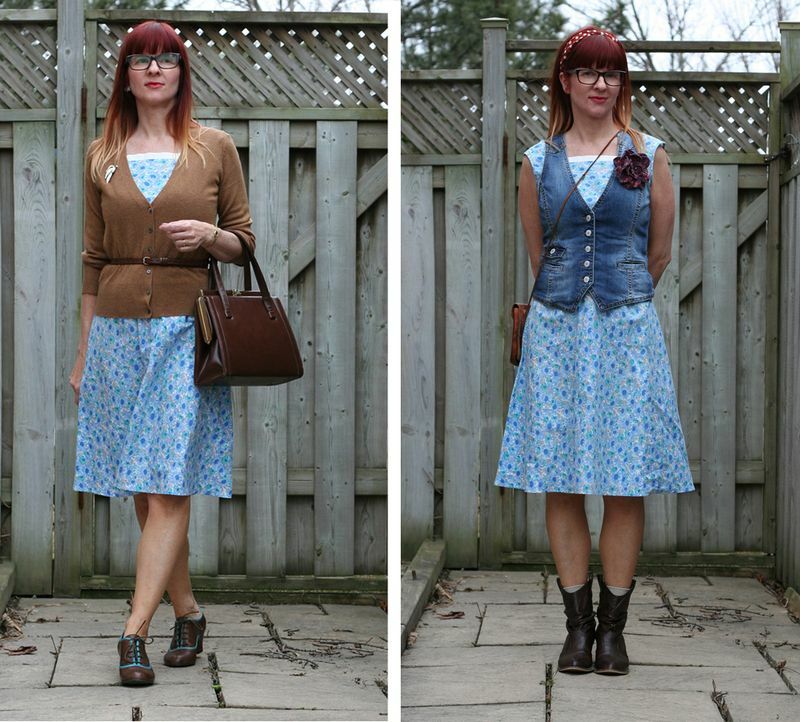 This is another 1950’s vintage cotton dress styled two different ways. A fine example of showing just what kind of impact accessories have on a piece. As you can see from my examples it is the accessories you choose that will transform a vintage dress from old fashioned to contemporary. 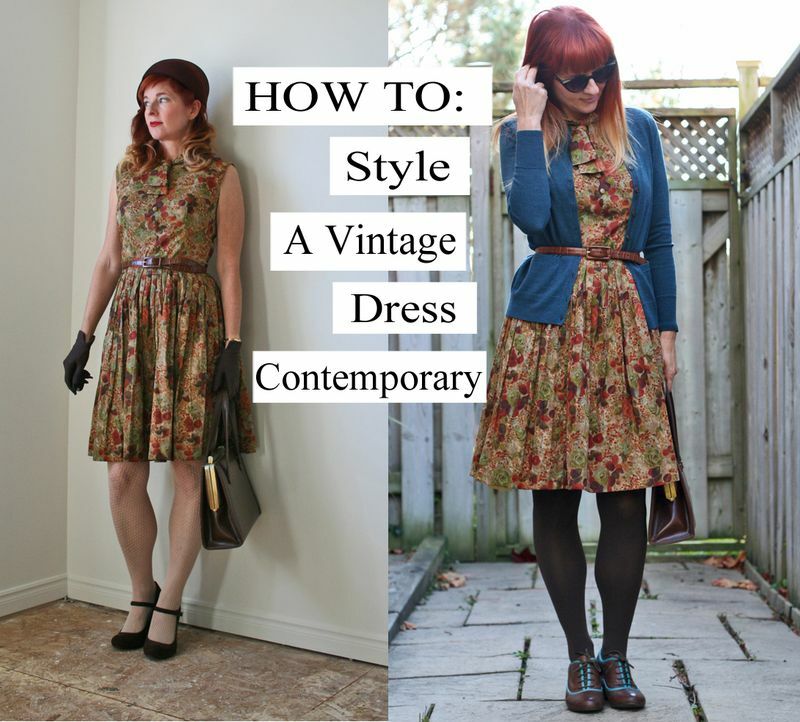 Did this give you any ideas how to style up those vintage pieces with a contemporary twist? « Skater Skirt & Girl… Have You No Shame? 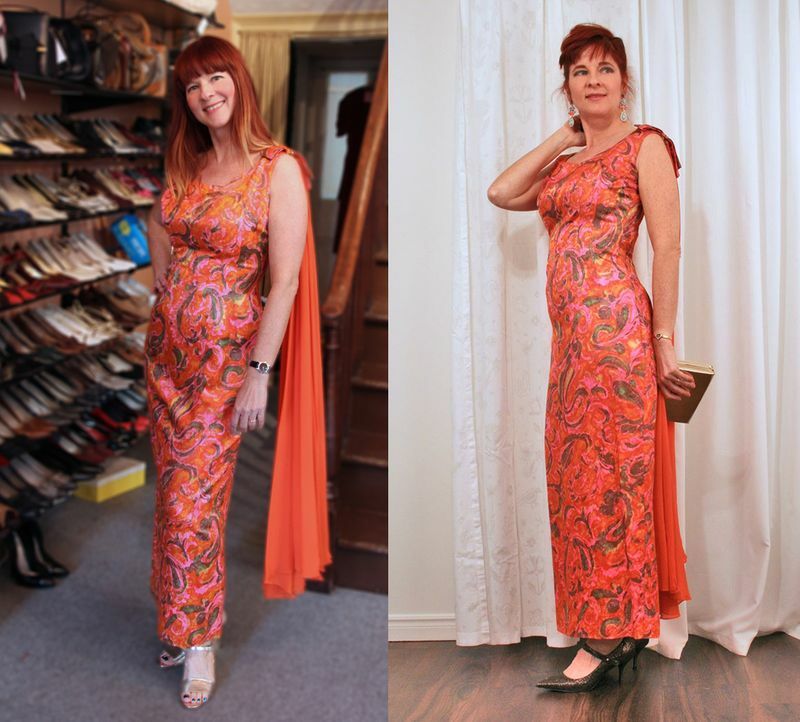 I have the long orange and green cocktail dress which my mother bought in the 60’s. It is in perfect condition, and I am wearing it to a family wedding in June. I am 70 year s old. 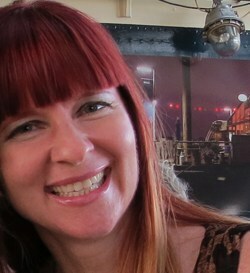 I vaguely remember the long orange scarf hanging from one shoulder, but it is long gone, not that I would wear it. Did you sell the dress, and if so, may I ask the price? I realize the photo was a few years ago, so you may not know. I’m wondering what Mom paid for it. She may have bought it at Lord and Taylor in Indianapolis, but that is just a guess. Thanks. I didn’t sell that long orange cocktail dress with the scarf if that is the one you are referring to. 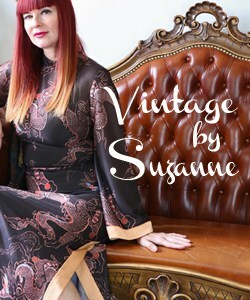 It is one of my all time favourites and I paid big bucks for it at a specialty vintage store. I think it was $250 or $275 if I remember correctly. I’ve had it for years.